The continues Investors Business Daily its excellent job of defining and promoting Right to Work: Should workers be forced to join unions or pay them dues as a condition of employment? Indiana recently became the 23rd state to say "no," and polls show support for similar right-to-work laws in union bastions like Minnesota, Michigan and Ohio. In Michigan, unions are so fearful that they are pushing to amend the state constitution to prevent such a law. The presumption is that if such laws passed, many employees would drop out of unions or stop paying dues, weakening labor. There's just one thing: There is little evidence that right-to-work laws cause people to leave unions. In fact, what evidence there is suggests the vast majority stick with their unions. That may be in part because the laws force unions to be more attentive to members' needs. "Somebody asked me how many workers got out because of right-to-work and I said, well, we don't track that number," said Jimmy Curry, president of Oklahoma AFL-CIO, whose state adopted a right-to-work law in 2001. He claims that no more than 10% of his members even register complaints. From the Wall Street Journal: The labor reform story of the year is unfolding in Indiana, which Republicans who dominate the legislature are trying to make the nation's 23rd right-to-work state. Democrats are resorting to the old run-and-hide ploy, but this could be a huge economic boon to the Hoosier State. Big Labor portrays right to work as a radical change, but it merely lets individual workers decide if they want to join a union. In non-right-to-work states, workers typically must pay union dues once their worksite is organized—whether they want to pay or not. This enhances union clout and the cash to dominate state politics. Many industrial and manufacturing businesses only consider right-to-work states as locales for expanding their operations. 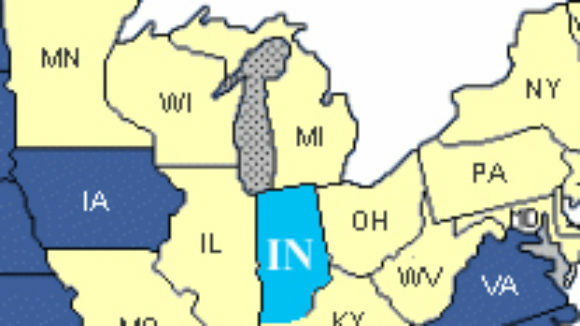 The nearest right-to-work state in the Midwest is Iowa, so Indiana could set itself further apart from such high-tax, unionized havens as Illinois and Michigan. According to Chief Executive Magazine's annual CEO survey, Indiana has climbed to sixth from 16th among state business climates, thanks to reforms since 2004 under Governor Mitch Daniels. But the state's biggest liability remains its labor market. A Forbes survey last year ranked Indiana 34th in business climate, partially because of a dismal 44th rank in labor "supply," which includes unionization. Democrats in the state House played hooky for three days last week in an effort to deny a quorum for voting on the law. They returned to work yesterday after Democratic leader B. Patrick Bauer acknowledged that they "can't stay out forever." House members face penalties of $1,000 per day for walkouts longer than three days, so the obstruction could get expensive. 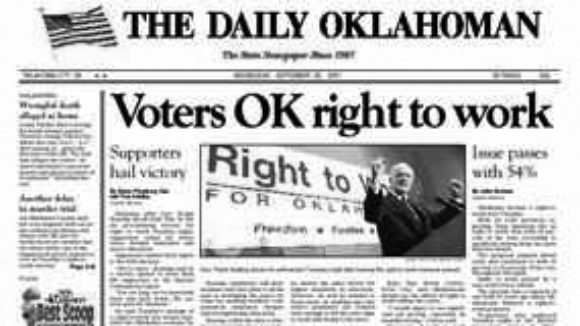 Oklahoma's Right to Work Anniversary -- A Success Story! 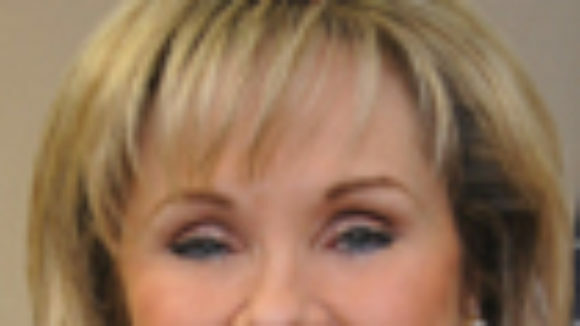 New evidence "Right To Work boon for Oklahoma"
Families are fleeing compulsory unionism states and moving to Right Work States like Oklahoma. And, that is not all that is OKay in Oklahoma since it became the 22nd Right To Work state in 2001. 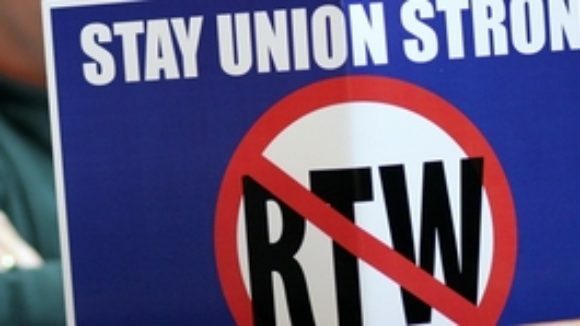 From a recent analysis by J. Scott Moody and Wendy P. Warcholik of the Oklahoma Council of Public Affairs: On September 25, 2001, Oklahoma voters went to the polls and passed a constitutional amendment—Right to Work (RTW)—which gave workers the choice to join or financially support a union. This made Oklahoma the 22nd state in the union to join the ranks of Right To Work states. Fast forward to today, and opponents of the law are still at work trying to discredit it. A recent study by the [Big Labor related] Economic Policy Institute (EPI), for example, claimed that Right To Work in Oklahoma has been a dismal failure. One of EPI’s most important pieces of evidence is that manufacturing employment is lower today than it was before Right To Work. 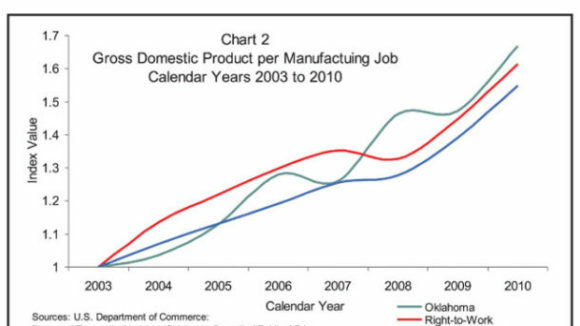 [However,] the EPI study did not consider whether Oklahoma’s manufacturing industry may have chosen to boost productivity instead of hiring more workers. Chart 1 shows the growth in Gross Domestic Product (GDP) of the manufacturing industry from 2003 to 2010 using a growth index. Oklahoma’s manufacturing GDP has grown 45 percent in that time period, outstripping that of the average manufacturing growth in in non-Right To Work states (22 percent).